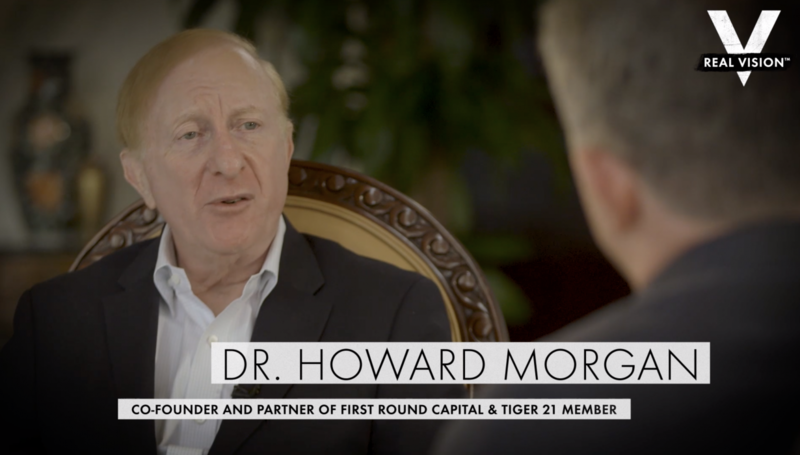 Real Vision Co-Founder Grant Williams interviews Dr. Howard Morgan, TIGER 21 Member, and Co-Founder and Partner of First Round Capital, about lessons learned from failure and what it takes to create a successful startup. Filmed on January 30, 2019, in Boca Raton, Florida at the 2019 TIGER 21 Annual Conference. Real Vision Group is a disruptive media company providing video on demand and written research services within the finance sector.